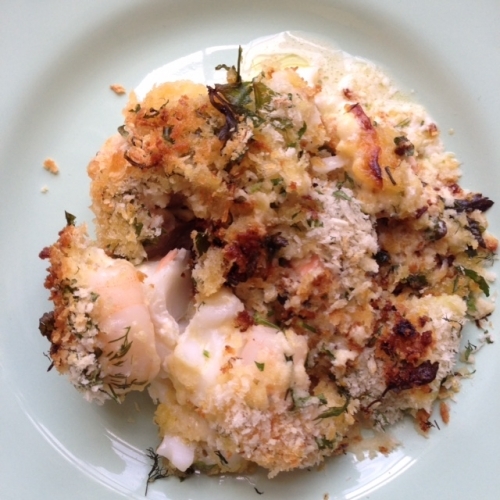 A creamy haddock, mussel and mushroom pie with a crust of breadcrumbs and dill. 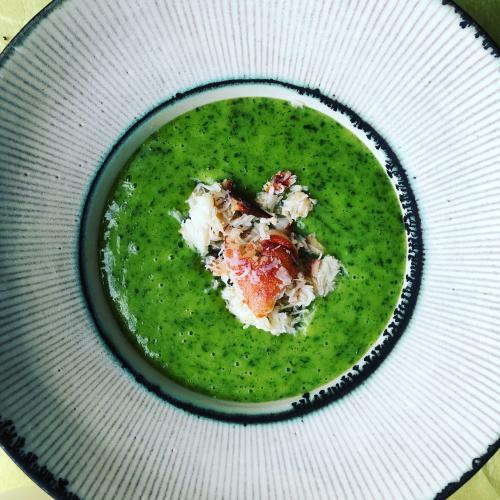 A mild fish soup with haddock and potatoes and horseradish spiked rouille. 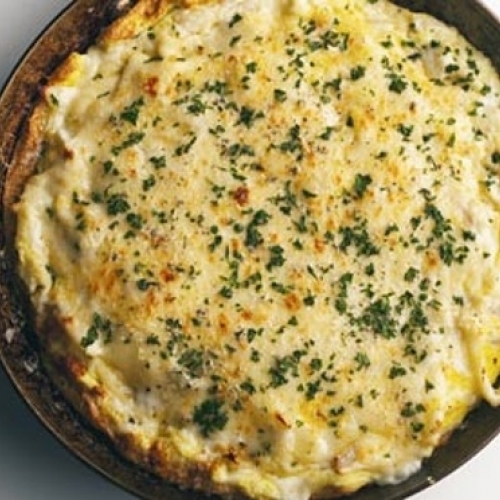 My version of the classic Smoked Haddock recipe known as Omelette Arnold Bennett. 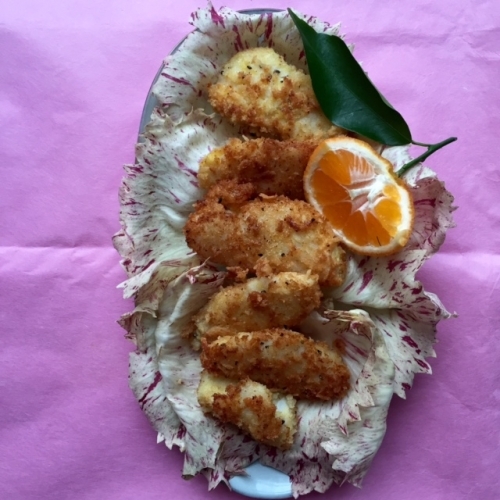 Cod, crisp crumbs, Japanese seasonings. 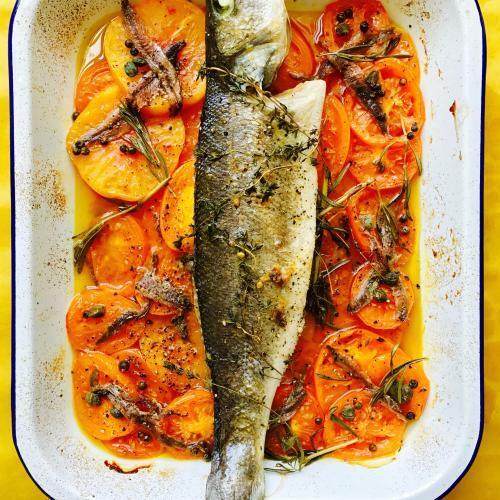 A mildly spiced crust for white fish. 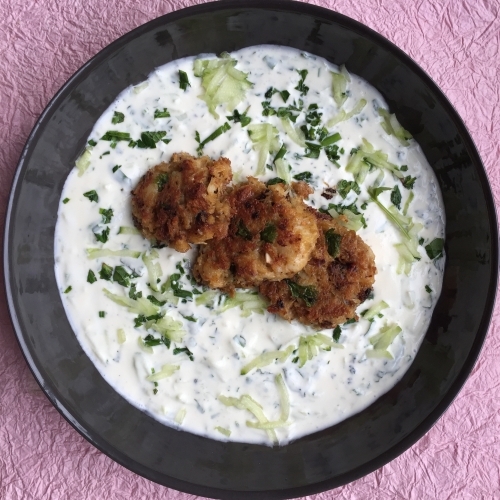 Hot, coarse textured crab cakes, iced cucumber and herb soup. 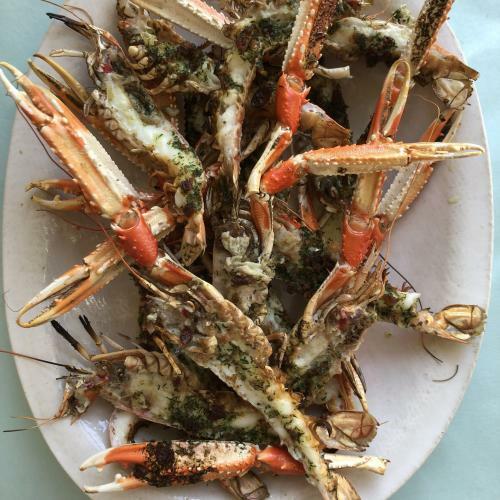 Rocket and potato soup, white crab meat for an early summer lunch. The juices are the thing here. 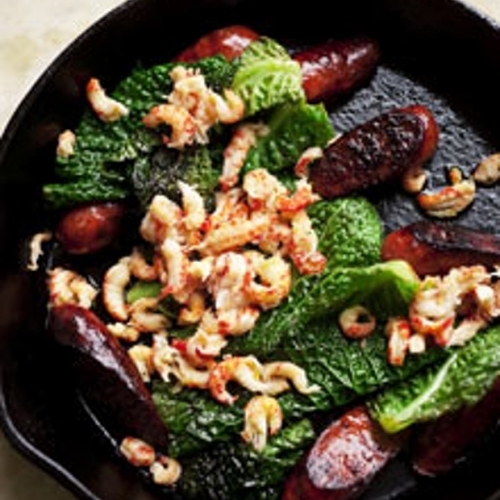 The amazing chemistry of chorizo and crayfish juices. 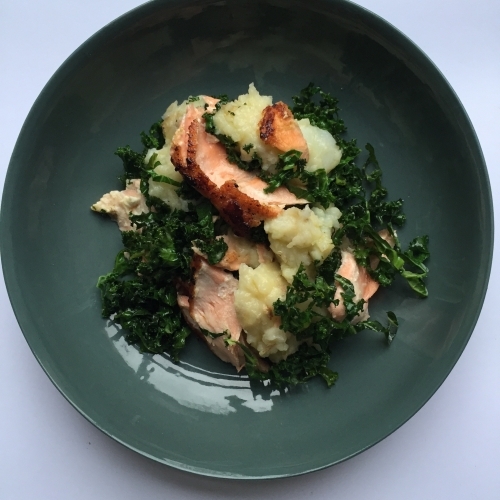 Salmon, kale, crushed potatoes. 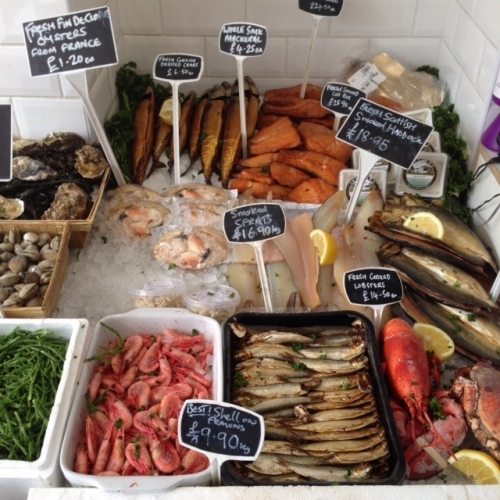 A quick one for a spring day. 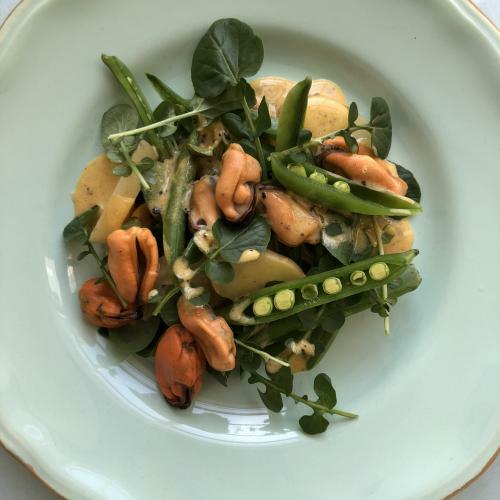 Gentle flavours for a spring day. 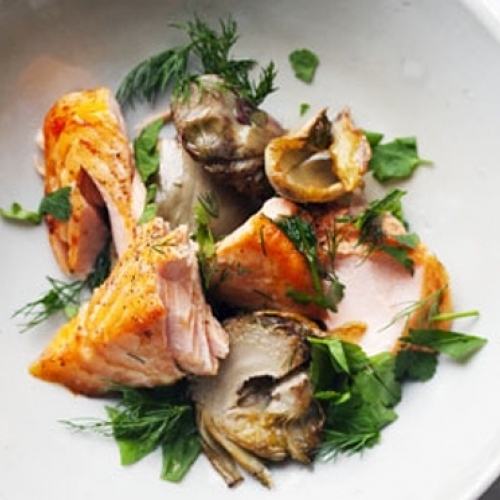 Salmon cooked with marinated artichokes & parsley. 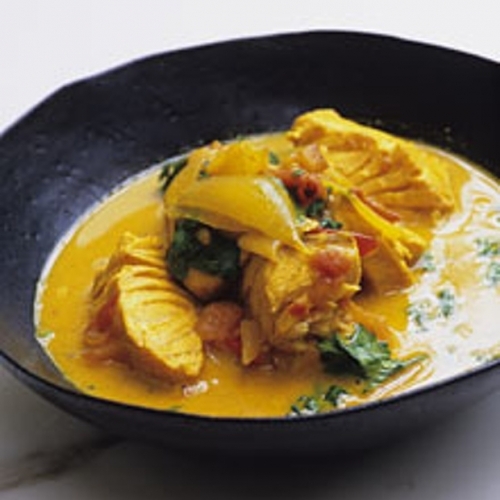 A Kerala style curry with salmon, chillies, turmeric, tamarind paste and coconut. 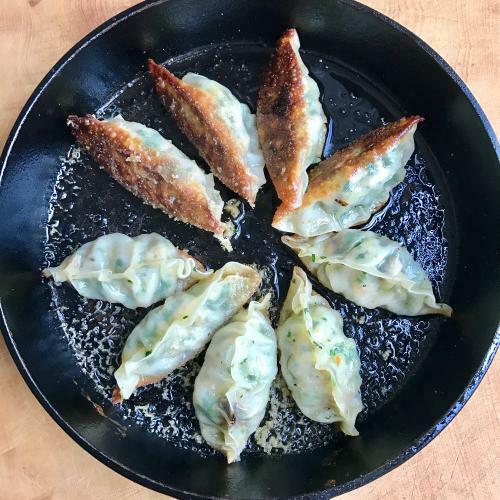 The simplest pie of all. 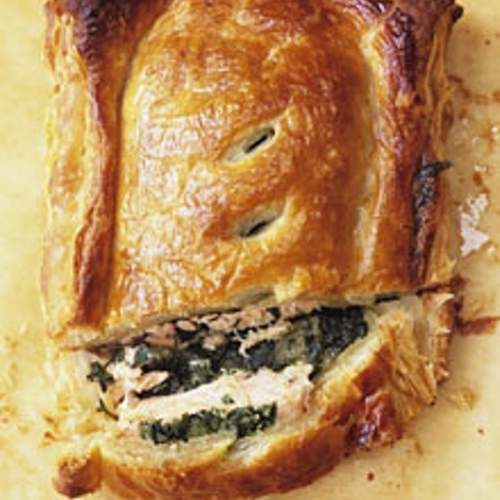 Salmon with basil and parsley butter wrapped in puff pastry. 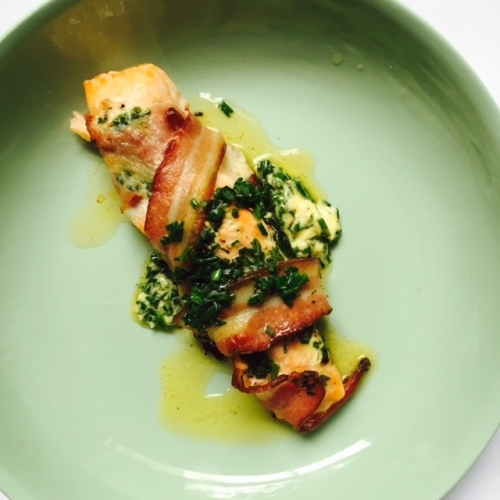 A quick dish of salmon fillet wrapped with lemon thyme in smoked bacon and baked. 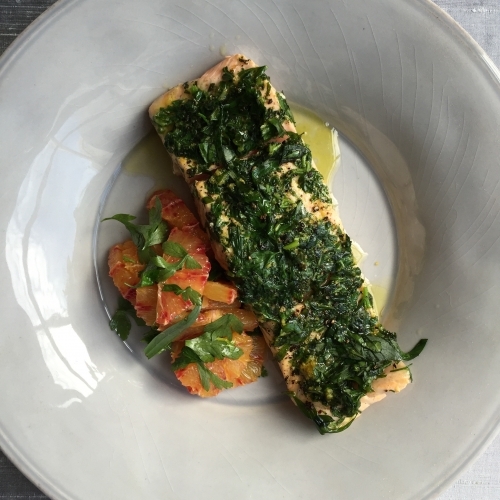 Salmon cooked with basil and tarragon, served with blood oranges. 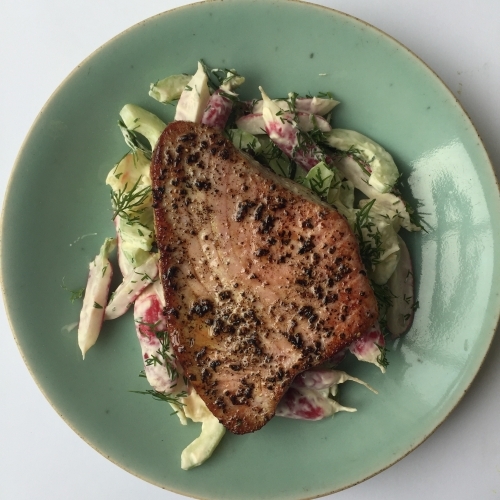 Peppered tuna steak, salad of cucumber, lemon, radishes and cream. 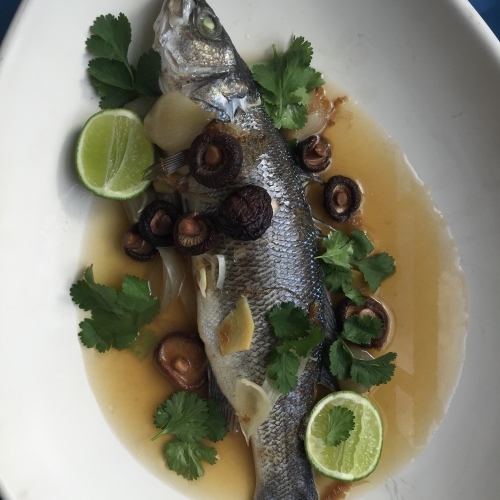 Whole sea bass, ginger, shiitake and an aromatic broth. 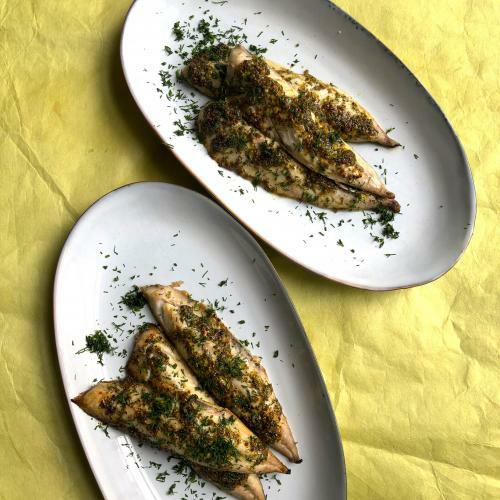 Grilled mackerel fillets with a mustard and dill marinade. 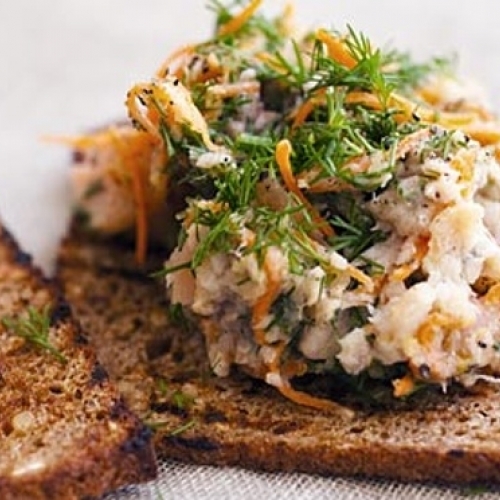 Herrings with sushi ginger, dlll and the cruch of raw carrot, served on rye bread. 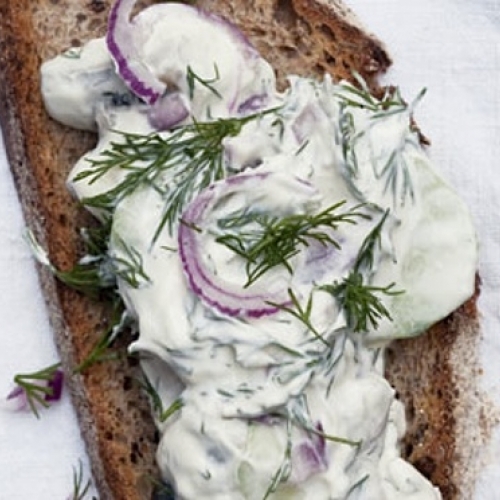 Toast, piquant pickled herring, cucumber, soured cream and dill. 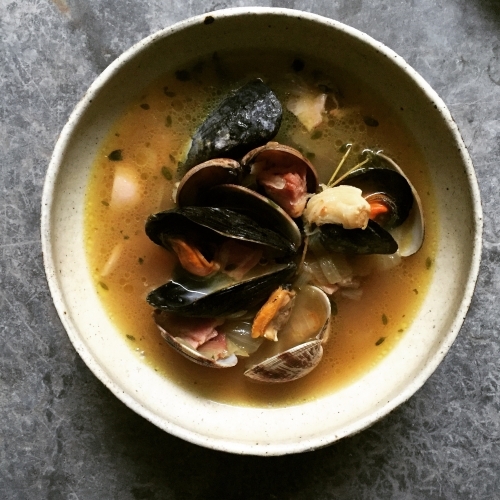 A light, golden herb broth with clams and mussels. 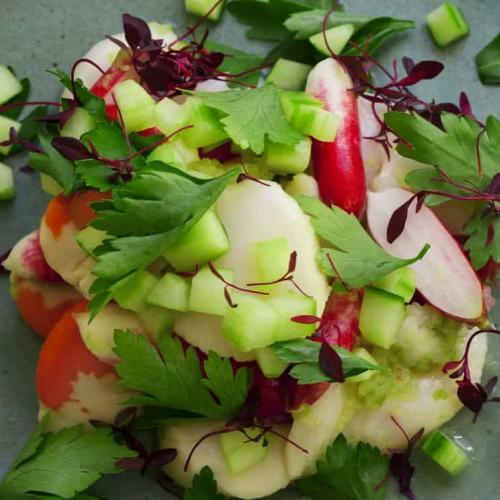 Scallops marinated with apple and citrus with a crunch of radish and cucumber. 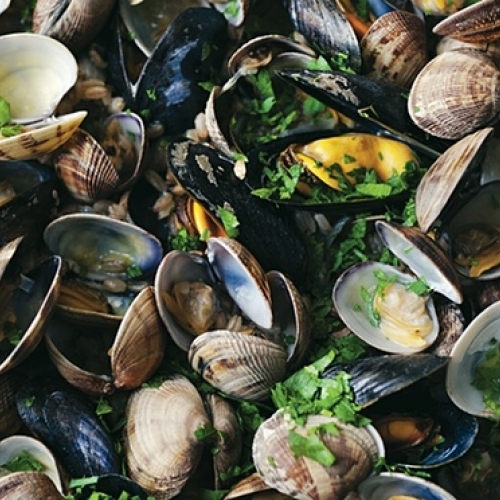 Clams and mussels cooked with pearled spelt to soak up their juices. 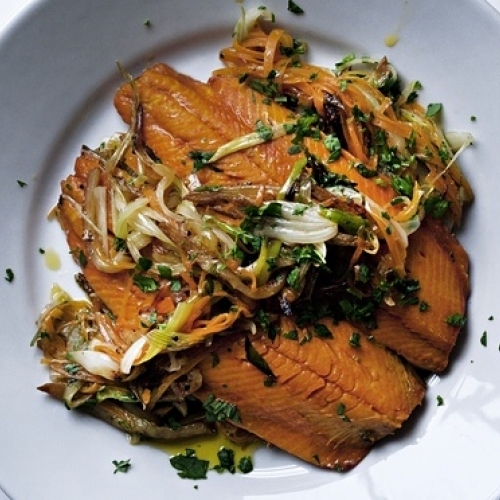 A light recipe for spring of kippers steamed with carrots, potatoes & spring onions. 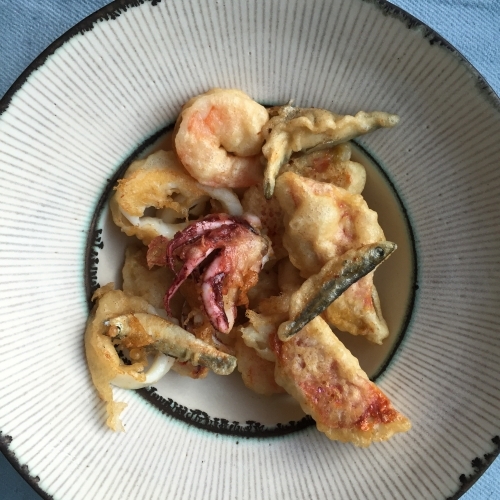 Mixed seafood, squid and red mullet in a light tempura batter. 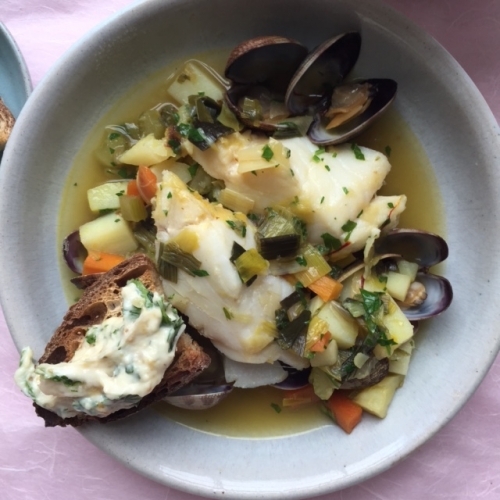 A thick fish stew with haddock and mussels, scented with tomato and orange.